Scenic Mountain View... the name just says it all. 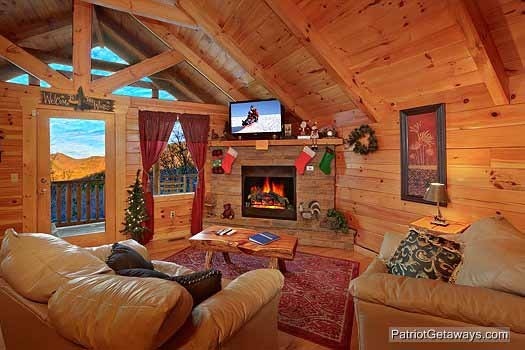 This cabin's panoramic view will leave you wishing you lived in the Smokies year round! If you can break away from the view, you will find a luxury property complete with King size bed, jacuzzi, pool table, and stone fireplace. Every member of your party will find something to love! 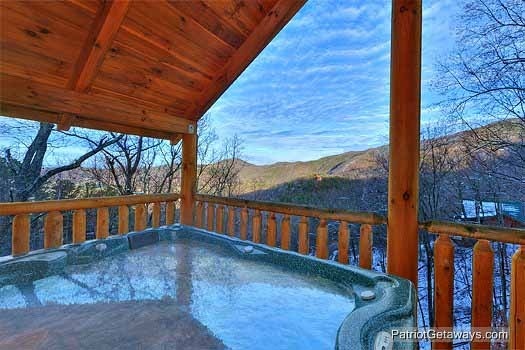 Relax in your covered hot tub while taking in the view or curl up in front of the stone gas fireplace on the leather couch. 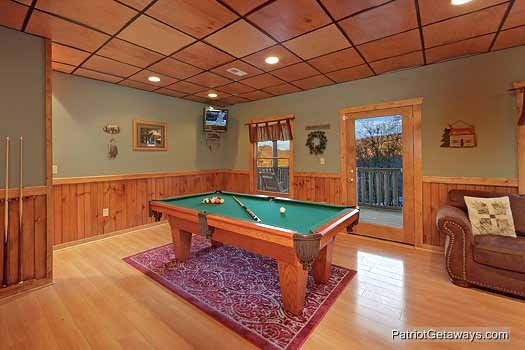 Wash your cares away in the jacuzzi or prove what a pool shark you are on the pool table. 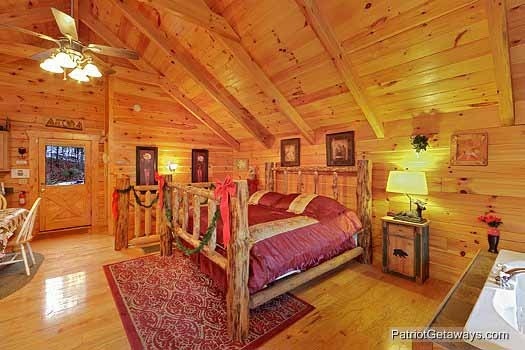 This 2 story log home will not disappoint! 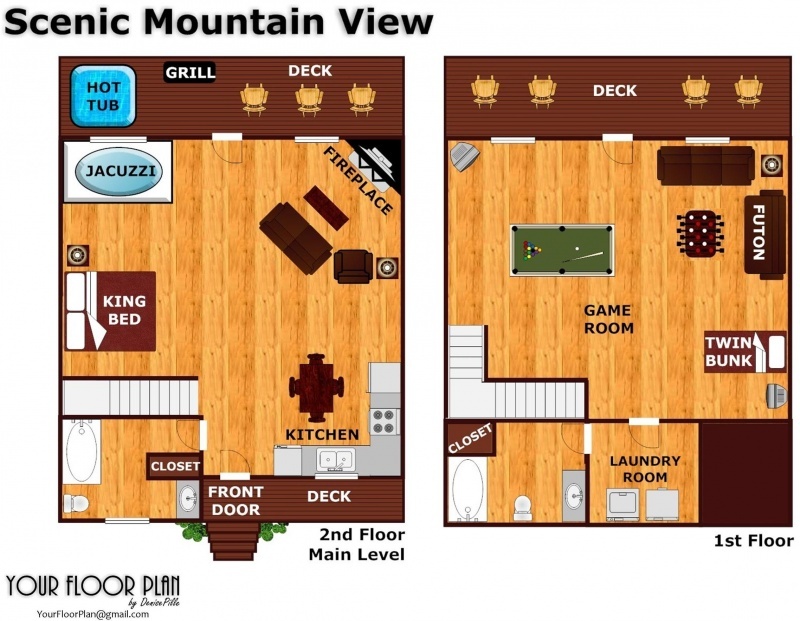 Get your Scenice Mountain View today! Great value,can't beat the price,every cabin we've stayed in has been wonderful,I have recommened APG to my friends,will stay again! 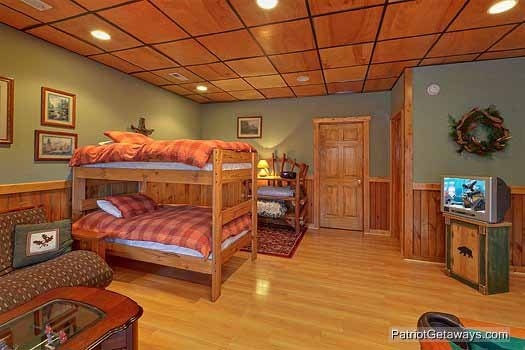 Great, clean cabin at a reasonable cost! Friendly staff! We'll be back. 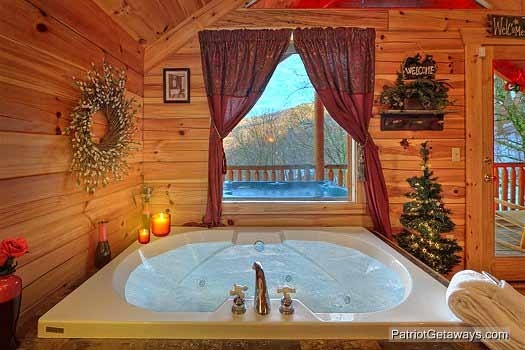 My husband and I stayed at the scenic mountain view in pigeon forge for our honeymoon and had a great time! We absolutely adored everything about the cabin and loved that we got to bring our fur-child. We are already planning our next vacation there!!!!! My husband & I stayed in Scenic Mountain View to celebrate our 18th anniversary. 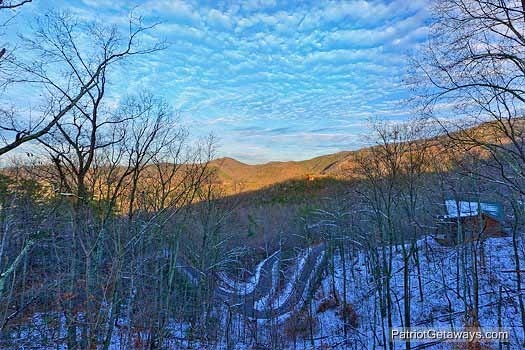 We have stayed numerous times in the area and only once in Wears Valley. 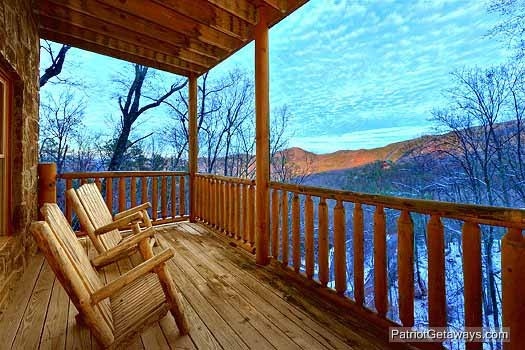 Scenic Mountain View is about 15 minutes from Pigeon Forge. The cabin was very nice and the layoutwas perfect for us. 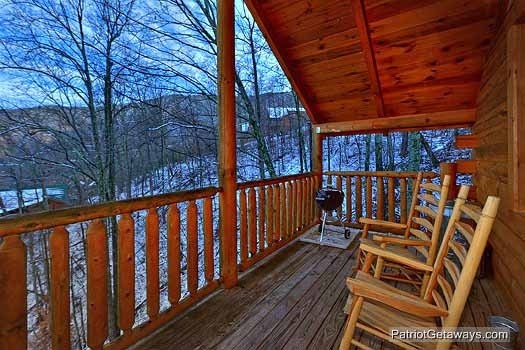 The view of the mountains from the porches was phenomenal and there isn't a cabin too close, so there is privacy. The cabin was stocked appropriately and couldn't think of anything that was missing. When making the reservation, the agent was very helpful. I also liked the fact that 7 days prior to our arrival, I received an email letting me know that the cabin was available the day after our departure with extra savings. Great job American Patriot Getaways! Way to go above and beyond! 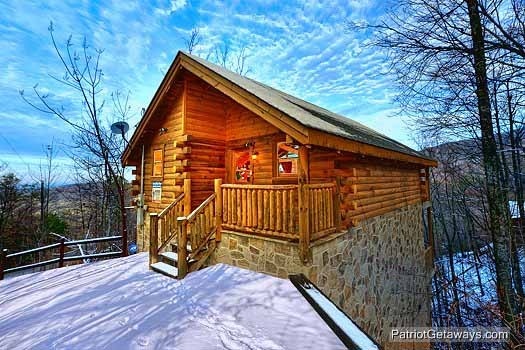 I have nothing but good things to say about American getaway patriot and the cabin we stayed at. The cabin was awesome! Everything was stocked and nothing was broken. The cabin was extremely clean. I had issues getting signed into the WiFi but a quick call to a friendly representative fixed my issues(password was different from the one I received) overall it was a better experience than any hotel I have stayed in. A very relaxing weekend, nice quality and quite cabin. Well equipped kitchen, only thing missing was a set of pot holders, no biggie. A much needed night away! Beautiful cabin and would definitely stay again. Did not want to leave! Many thanks. We stayed in this cabin during the fall and were treated to the beautiful autumn foliage and cool crisp mountain air. 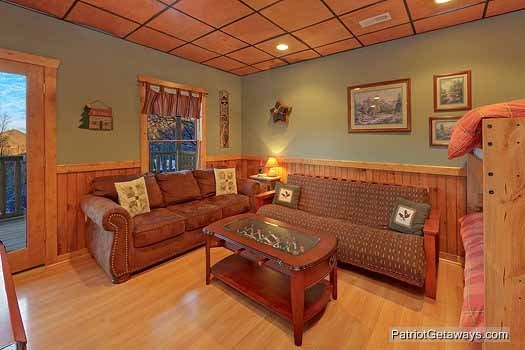 The cabin is in a private, nature loving surrounding, but not far from town and area attractions. The road to the cabin is scenic and chalked full of beautiful views all around; the church and mountains surrounding the valley community just below the main road leading to the cabin is simply beautiful. The cabin was well stocked with utensils, pots, pans and most everything needed to cooka good meal. The drive up to the cabin is steep for a short distance, but well worth the drive for a spectacular view. Overall, wonderful experience! We had a wonderful stay in your cabin. We had a wonderful stay at this adorable, rustic, secluded cabin. The layout was perfect, and the view from the backporch was breathtaking. We will definitely be visiting again on our next Smoky mountain getaway. Wonderful experience...I can't wait to book my next rental! The perfect getaway. Very clean. Loved all the country all around us. Everything was absolutely perfect. See ya next year. Beautiful view, lovely cabin, on time check in! Amazing location!! 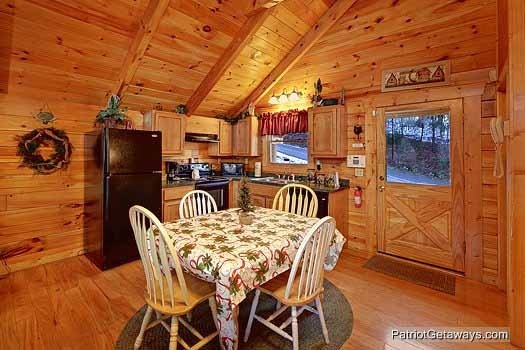 this was our first experience staying in a cabin, I have nothing but high praises for your employees from booking the cabin to retrieving our key code it was such a great experience. The woman helping us pick out a cabin was so helpful and polite what a pleasant young lady.